Get to know our coaches! We believe that we have assembled an amazing group of coaches and influencers that will help your athlete take their training to the next level. This team is led by two professional coaches who work with athletes worldwide. The team of Peak Performance Running wants to help your athlete grow to love running and achieve their best potential! Andrew is the Head Coach of Peak Performance Running. Andrew has worked with youth since 2015. Andrew has USA Track and Field Level 2 certification specializing in Endurance as well as Lydiard Certification. Andrew is a full-time running coach for Lifelong Endurance. In 2015 he guided 2 youth athletes to All-American Status in Cross Country, followed up 2016 with a Girls 13-14 National Title, as well as 3 additional and 1 repeat All-American. Andrew believes that good form, functional strength and efficient running economy are the building blocks of successful injury free youth runners. Andrew teaches athletes the importance of pacing, speed development and focuses on getting the most out of every workout. He is committed to helping athletes meet and exceed their goals. Andrew believes in coaching consciously and not callously. You won’t find him barking commands but rather asking the athletes to internalize thoughts and feelings when running and developing a feel for tactics, form, and drive. Andrew is a runner at heart and is still competitive in local races across Colorado. He has completed 35+ Marathons, Ironman Louisville in 2011, and ultra marathon cycling events across the Midwest. Andrew enjoys writing and sharing his views on training on different blogs and sites. You might ask him about his favorite kind of coffee or his favorite city he’s visited abroad. 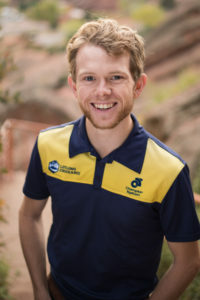 Andrew is a running coach in Denver, Colorado who works with youth to adult athletes of all abilities and coaches distance running with 5K – Ultra Marathon athletes. You can find his work all across the web from opinions on the Lifelong Endurance blog to training articles on the TrainingPeaks Blog. 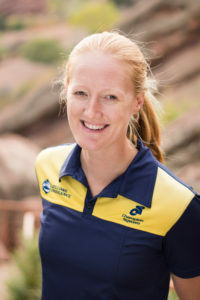 Katie Whidden is the Assistant Coach and Head Strength Coach of Peak Performance Running. Katie has worked with youth since 2010. She has the highly regarded CSCS in strength and conditioning as well as certifications from USA Triathlon and USA Cycling. Katie is a full-time multi-sport coach for Lifelong Endurance. Katie is a former Division 1 athlete playing basketball at Elon University in North Carolina. Katie believes that movement is important to the success of youth runners. Katie is the head strength coach at Peak Performance Running and is crucial to the success of our high school and youth athletes. She can make a workout happen just about anywhere and has a keen eye for finding an athletes weaknesses and helping them get to the next level. 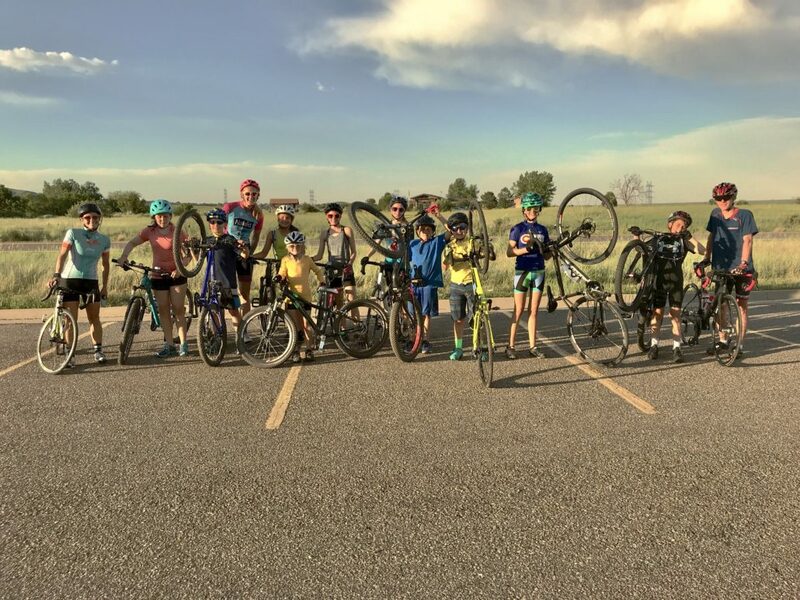 Katie can be found riding her bike all across the front range when she’s not working with athletes. She is an avid explorer with a heart of an adventurer speaking to many of the youth she works with. Katie is an avid learner and is a consummate reader and researcher. Her drive to explore has taken her to multiple countries and is always looking for her next trip You might ask her about her favorite hike in the area, or her work with the GBX Juniors, or her small summer triathlon group. Nancy, a former school teacher in rural Michigan, transplanted to Colorado in 2017. She was an avid runner with Coach Andrew as part of the Kalamazoo Area Runners. 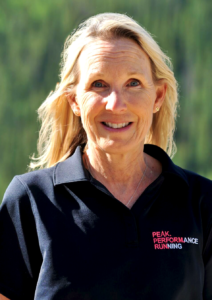 She has worked with youth runners for 5+ years before working with Peak Performance Running, add to that another 15+ years of working with students. She takes her experiences as a coach and teacher and combines them into a program that allows new runners to grow and flourish. She is the Assistant Coach for the Development Program and is a warm welcoming face you will see at every practice. Nancy is a nurturer and a listener first, she gets to know every athlete and what motivates them and what they enjoy about running. She is an RRCA certified coach and uses her background and knowledge as a runner to help bring kids to where they want to be as runners. Nancy is a major key to the success of Peak Performance Running as she is the coach laying the foundation for the future of our team. She has a keen eye for good running form and is diligent when it comes to progress new runners at a level that challenges them but doesn’t break them. It has been nearly 17 years that I have been running, and my running is aging as well as wine and/or cheese as I’ve gotten older. And just like a fine wine, I’m loving running more and more the older I get. I started running when I was 13 years old because running track was something that “everyone” did. Turns out, I was fast, particularly in distance running, so my coaches encouraged me to sign up for “cross country.” Not having a clue what crossing the country had to do with running, I went out for the team my freshman year of high school and was hooked ever since. I ran cross country and track all four years of high school, took a break my freshman and sophomore years in college, then walked onto the team my junior year of college. Following college is where I really started to put in the miles and venture into the almighty marathon. My passion lies in this distance, and I’ve competed in six marathons so far. I’m currently training to qualify for the 2020 Olympic Marathon Trials. I’m originally from Lakewood, Colorado and ran for Mullen High School (go mustangs!). I ran for Colorado State University in college (go rams!). When it comes to coaching, I believe that running is about consistency in the journey, not perfection. When I used to step onto the starting line at CSU, I was a terrified mess, already defeated because I had been telling myself “you’re not as fast as those girls.” But when I finally took the time to believe in myself, trust in the training and put in the work every single day, my results started to change. Running has been my metaphor for so many other challenges in life, and I know it will be for all runners out there too. Never be afraid to surprise yourself and be RUNderful! Something unique about me is that I collect change on every single run that I go on. A lot of my friends think it’s a gross habit, but I just tell them don’t come crying to me when you’re ready to retire and I’m living in luxury off of all of my years of running-change-collecting! 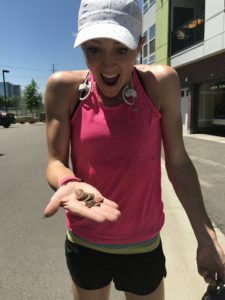 I carry the coins in my hand while I run, and the only time I don’t pick it up is during a race. My record for most change found is somewhere in the ballpark of 38 cents (mostly in pennies). We’re looking for new team members to help us in continuing to provide professional coaching for youth both on the trails and roads! An ideal coach will be a hard working and passionate individual who has the knowledge and background to take athletes to the next level and help them meet their athletic goals. These new team members will also have a high level of running knowledge with a passion for excellence and integrating fun into the daily routine! All coaching positions are 1099 contractors and coaches will need to complete a background check or provide proof of one on file prior to beginning the position. The ideal candidate possess the ability to run with youth athletes and a current CPR certification. We’re looking for people that are fun, upbeat, and love the sport of running! Help grow the sport of running at the ground level! Youth running is one of the largest growing parts of the sport. 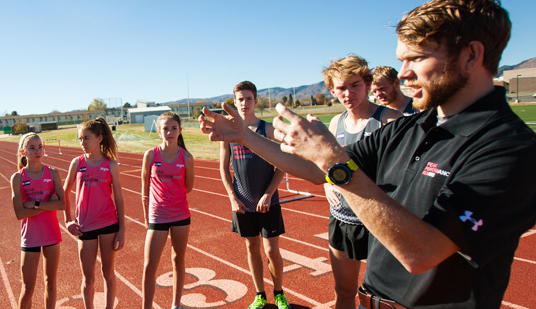 As a coach you will learn from our coaching staff and gain hands on experience with some of the most talented, young runners in Colorado. The ideal candidate has availability from 3:30-6pm most weeknights and is capable of traveling to locations near Golden, Colorado. If you’re interested in learning more about the position, or think you’re a good fit please click here to complete the application. This application takes roughly 15 minutes to complete. Thanks for applying to be a member of the Peak Performance Running coaching team!